Name a Star Valentines Double Stars are twin stars so close together that they appear to be a single star. Many are bound together by gravity and share the same orbit. Order your Valentines Double Star today. Together in the heavens forever. 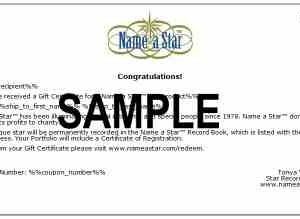 Receive a free emailed certificate with every printed order. Perfect for couples, lovers, best friends, and siblings. 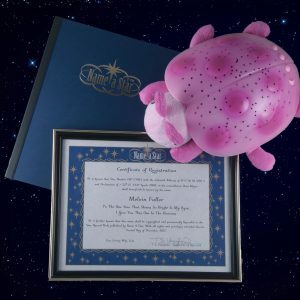 What could be more fun than giving that special someone a real star in the sky? Romantic gift for girl friends, boyfriends, husbands, and wives. 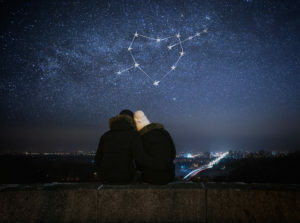 Valentines Double Star Packages give you 2 stars with the same astronomical address. Pick your package below. 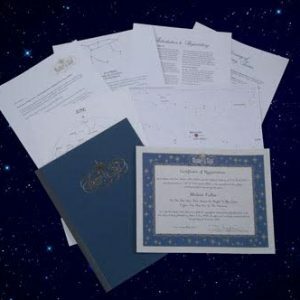 In addition to receiving a star of their own, the Valentine’s star recipient gets a Name a Star that includes a 2 identical certificates of registration, star charts to find the Valentine’s double star, and fascinating information on astronomy. 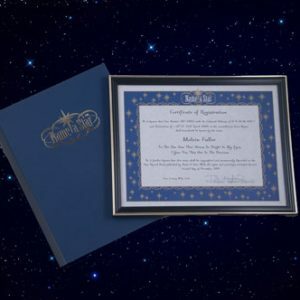 You can even express your love by adding your own personal message to the star certificate. 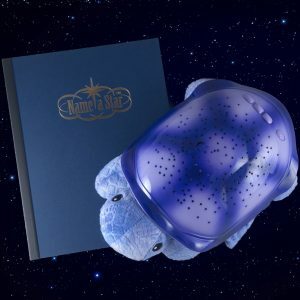 Give an eternal gift of the stars and be remembered with every glance at the night sky. 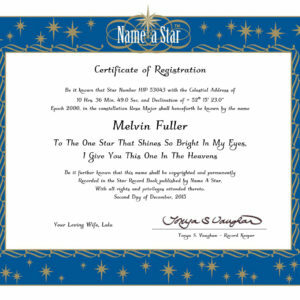 Register a star name in the heavens today for that special someone you love! 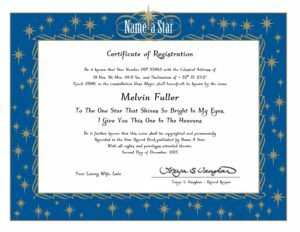 Name a star after someone as a Valentines gift from Name a Star The Original Star Naming Service – Since 1978. 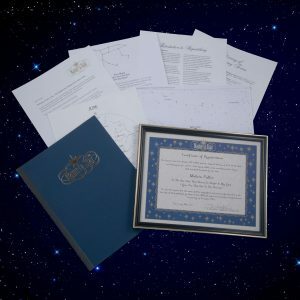 Choose your star naming package below and buy a star today for the ultimate Valentine’s Day gift.